MRA Architecture & Interior Design is delighted to announce its appointment by MATCHESFASHION.COM. Established in 1987 as a bricks-and-mortar retailer by Tom and Ruth Chapman, MATCHESFASHION.COM has grown into a global luxury omni-channel business with 14 London stores and an international website that operates in 195 countries worldwide – the ultimate modern luxury shopping experience. 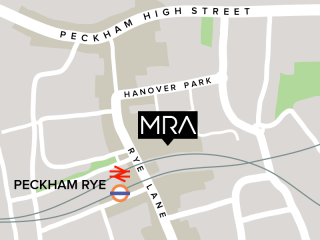 Following on from the global success of MATCHESFASHION.COM, MRA has been appointed to create a new interior retail concept to showcase the brand’s edit of the best new and established international labels across womenswear and menswear, and to serve as a physical touchpoint for its wider online offer. 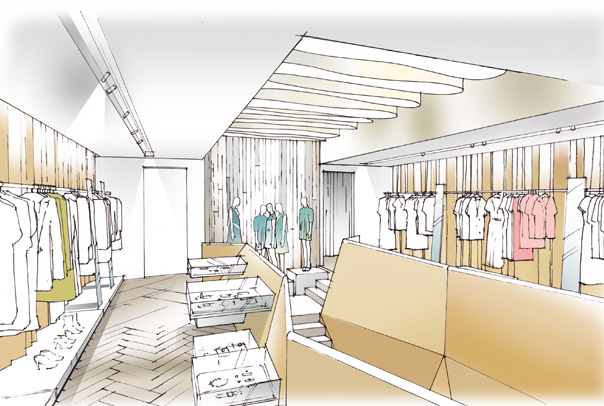 Due to open in April 2014, the new store will consolidate the brand’s four boutiques in Wimbledon into a single 320m2 space over two floors. The building, at 36 High Street, Wimbledon, will be reconfigured to place the customer at the centre of the retail experience. From the new shopfront, which will improve visibility into the boutique from the street, to the generous and sculptural staircase linking the lower and upper floors, the customer journey will be open and inviting. Intimate and luxurious fitting rooms will complement the main sales areas, which will enjoy daylight from a 7m-long glazed roof running down the spine of the space.